Will 2019 be the year of the challenger bank? With technology moving at pace, many traditional banks have struggled to keep up with developments and the growing demand from customers for more digital experiences. As such, they’ve left a gap in the market for more tech-savvy challenger banks. It’s therefore no surprise that in the last few years we’ve seen an increase in the emergence of challenger banks, such as Starling Bank, Revolut and Atom Bank in the UK. These new-age banks are going from strength to strength and continue to attract large amounts of investment. According to CB Insights, 2018 venture deals would set an estimated record of $32.6 billion, which would be up 82% from 2017. CB Insights also believes that the standing of challenger banks will only improve in coming years as regulators worldwide continue to lower the barrier of entry to the market. There are a number of reasons challenger banks are becoming ever so popular among both customers and investors. One of the most significant being that challenger banks address common consumer problems that have largely gone unaddressed by traditional banks. It’s this focus on addressing the customer pain points that places challenger banks one step ahead of their traditional counterparts and what allows them to attract increasing amounts of investment. Arguably, one of the most successful of challengers to appear in recent years is mobile-only bank Monzo, which signs up an average of 20,000 new customers every week. Since its launch in 2017, Monzo has become a big hit, being named Britain’s best-rated lender of 2018 in the annual Which? survey and raising £20 million in crowdfunding in just two days. Regularly described as ‘the future of banking’, Monzo is just one of the challenger banks using technology to disrupt the market – a move welcomed by customers, particularly the younger generations, if not by traditional banks. The consumerisation of banking, brought forward by new technologies and challenger banks, has led us to start expecting the same digital service from our business banking. This will only continue as the workforce gets younger and today’s Monzo customer may inevitably become tomorrow’s small business owner who will want the same fast and convenient banking in the workplace as they experience personally. By next year, experts predict that millennials will make up 35% of the global workforce, while ‘Generation Z’, those aged 20 and younger will make up 24%. With over half of the workforce aged under thirty-five, it is reasonable to expect that they will begin to demand the same convenience and level of banking within the workplace as they get at home. However, as outlined by PwC, this significant change in demographics in the coming years will provide banks opportunities for growth but will require innovation to develop new products and services. Challenger banks are currently winning the battle for millennial customers and are already ahead in the fight for Generation Z, thanks to apps and services created with these emerging customers in mind. In fact, some challenger banks, such as Pluto Money, are even developing apps that use games to encourage savings among younger members of Gen Z. It is this understanding of their customers and embracing the ways in which they interact with technology that puts traditional banks to shame. Will traditional banks fight back? That said, this competition has caused several traditional banks to reassess their proposition. One such bank is HSBC which is creating a separate digital entity in the UK – in other words, its own challenger bank. The new addition to their banking portfolio, which will target small business customers, comes as chief executive John Flint says the bank is aiming for ‘aggressive growth’. This new venture coincides with plans for £15-17 billion investment in new technology. This news also comes after HSBC announced it had spent $2.3 billion on improving its artificial intelligence (AI) and digital capabilities around the globe last April. It is clear that HSBC has recognised the value in adapting their offering and embracing a more modern approach to banking in order to compete with the growing market of challenger banks. 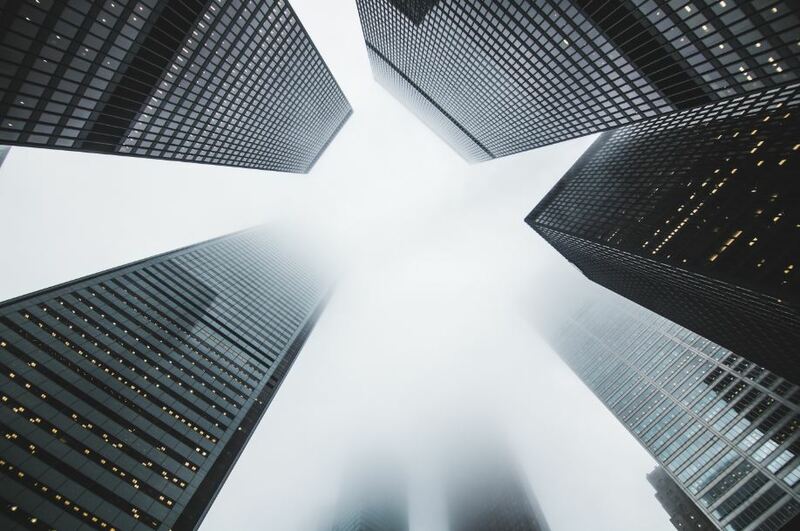 The emergence of these new banks has certainly been a wakeup call for many of the traditional banks like HSBC, highlighting the fact that they can’t afford to stand still. Currently, a large number of these banks are being held back by legacy systems which are preventing many from improving their offering, even if they want to. However, if they are to be able to compete, they must essentially move with the times. While it seems that 2019 will be the year of the challenger bank, consumers will benefit not only from this growing market but from traditional banks adapting their approach to compete.